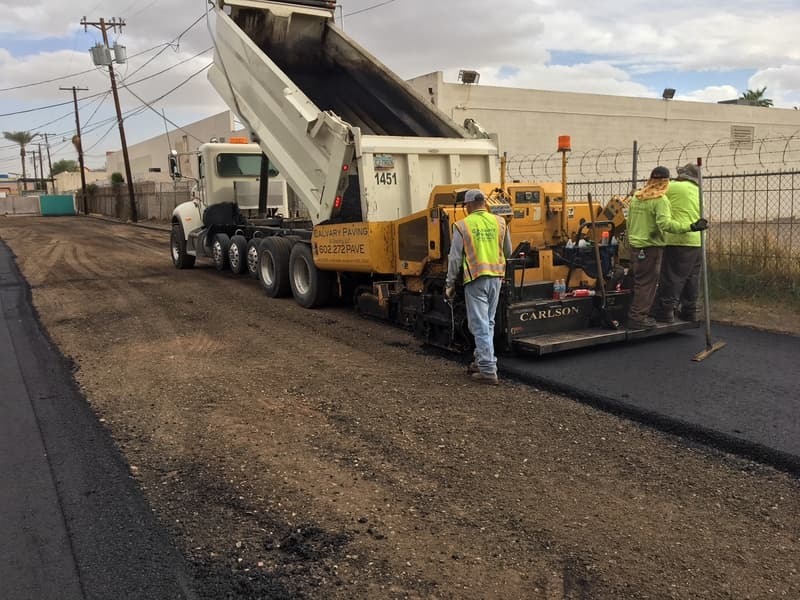 We Are Experts In Asphalt! Over the last 10 years, our company has grown because we specialize in just one aspect of the huge construction industry. This has allowed us to focus on providing detailed, personalized service. Collectively we have decades of experience but the most important people in our business are our clients. From a large industrial complex to a small residential driveway, we realize all of our customers matter and we strive to fulfill their every need.
" I was very pleased with the paving work completed by Calvary Paving at the Flying E Ranch. Jeff and Tracy were very professional and the job was completed in a timely manner. I would recommend them for any paving work and will use them for any future paving." "When you call Calvary you deal directly with the owners, I appreciate that. Their work is done right the first time." Tracy started working in a construction office at age 15. Throughout the many years that followed, she gained the experience and knowledge needed to run a construction business, including job costing, accounting, human resources, safety and risk management. Jeff has over 25 years experience in construction, including sales, estimating, and project management. He is a hands-on guy who will be on-site and in the field making sure each project is given the individual attention and quality it deserves. Click on the article to read all about us in the Wickenburg Sun.